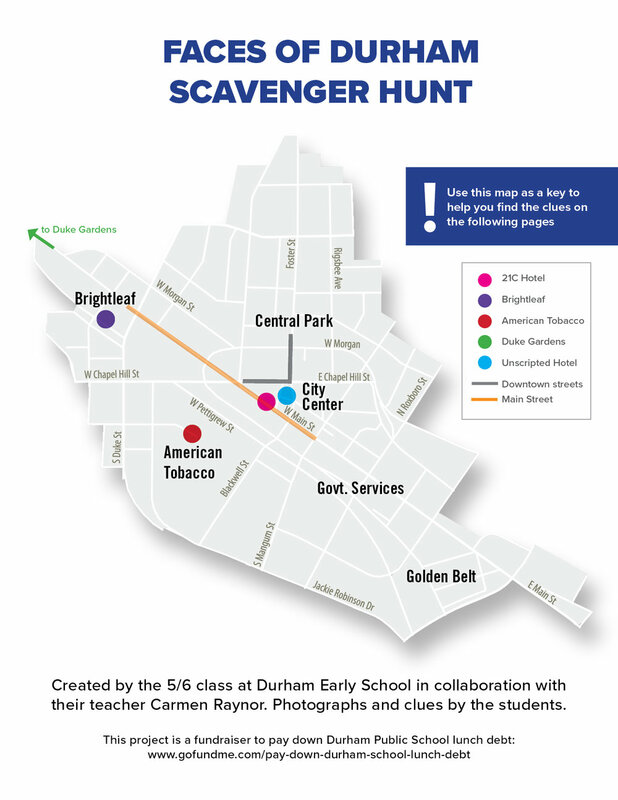 This year, the 5/6 class at Durham Early School created a scavenger hunt using 33 photographs of faces they found in Downtown Durham. The map was in collaboration with their teacher Carmen Raynor. All photographs were taken by the students and all of the clues were written by the students.